686m2 block located in the highly sort after suburb of Renown Park. 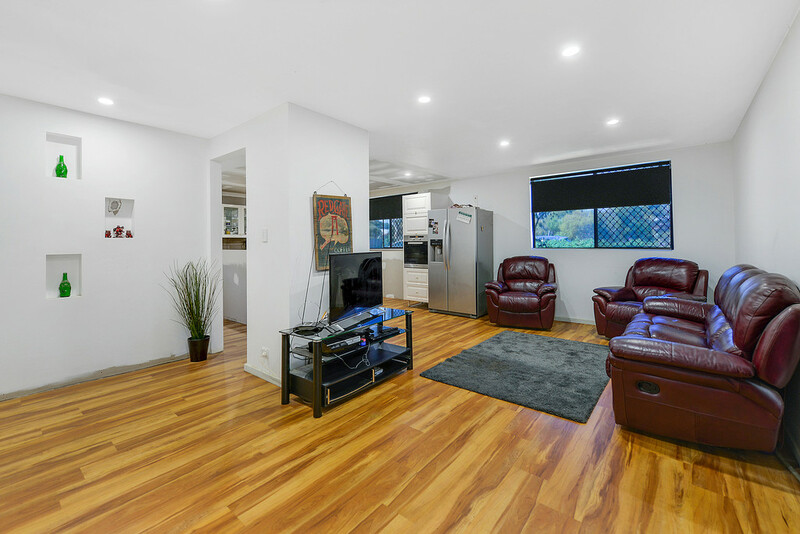 Peacefully located in a quiet street with speed restrictions, this timber frame home offers a unique opportunity for the prospective residential purchaser to complete an already underway renovation project, or for the shrewd developer to secure a near rectangular property of approx. 686m2, only 4km from the CBD. 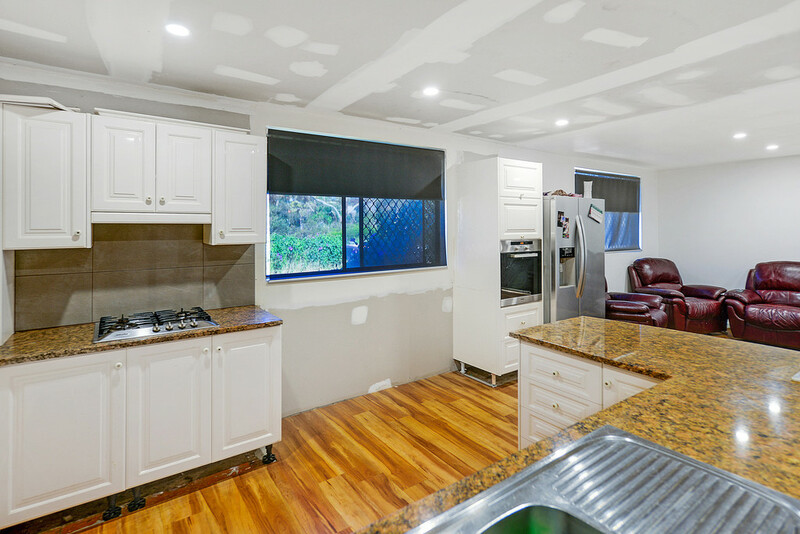 The current owners have begun a quality renovation to the home with living, kitchen, 2 bedrooms and bathroom all nearly completed. 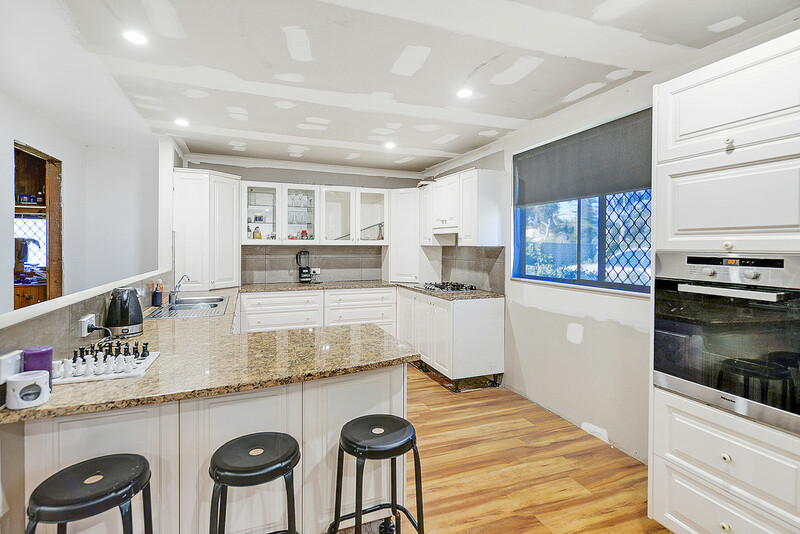 The kitchen / living area offers floating floors and downlights in a spacious L shaped design. 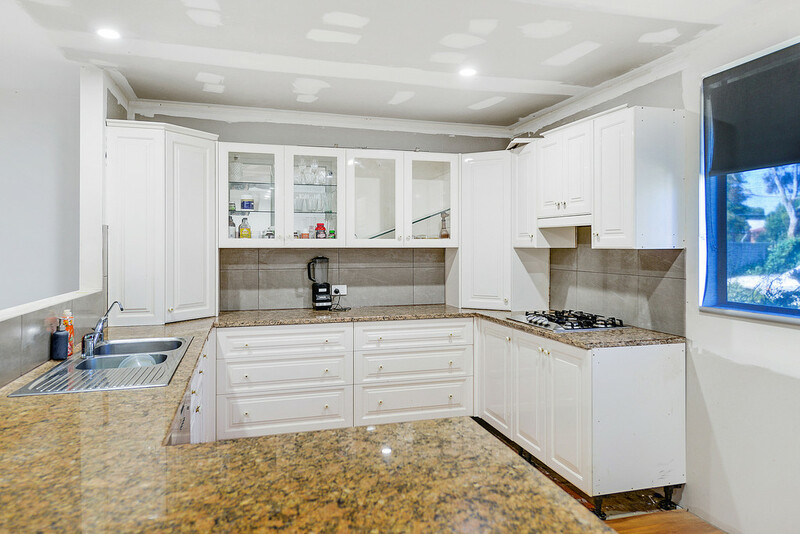 An incredible JAG kitchen offers granite benchtops, crisp white cabinetry, stainless steel Miele appliances, double sink, stunning tiled splashbacks and a curved breakfast bar. 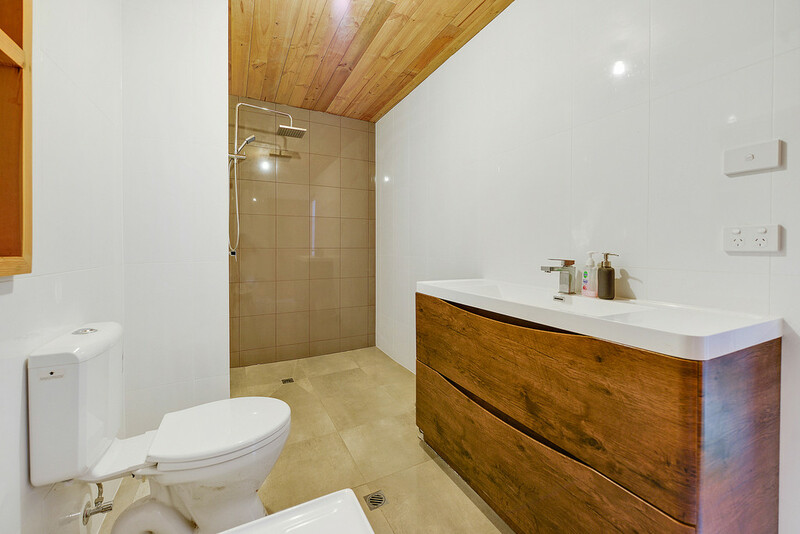 A luxuriously renovated bathroom offers floor to ceiling tiles, rail shower, timber ceiling, separate bath and modern tapware and cabinetry, providing quality amenities for the two renewed bedrooms. The master bedroom is of good proportion with dual windows and provision for a walk-in robe. The remaining rooms of the main home will require a good deal of renovation work. 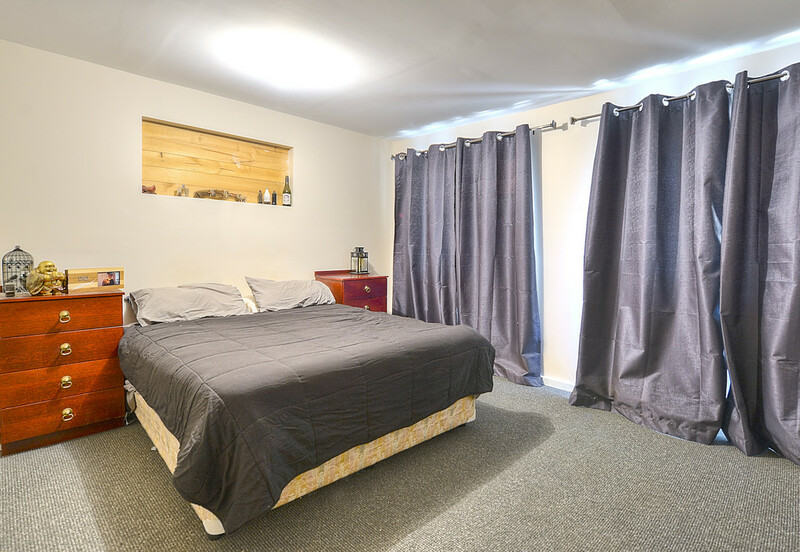 Two spacious bedrooms are available, (one with an ensuite bathroom), plus a games or family room and a laundry also in need of repair. The home offers extensive shedding and carporting. A 2 car carport provides access to a spacious workshop area, ideal for the tradesman or prospective renovator. An extensive shed / garage of approximately 100m2 with more accommodation areas inside, is accessed from the workshop, wrapping around the side and rear of the home. 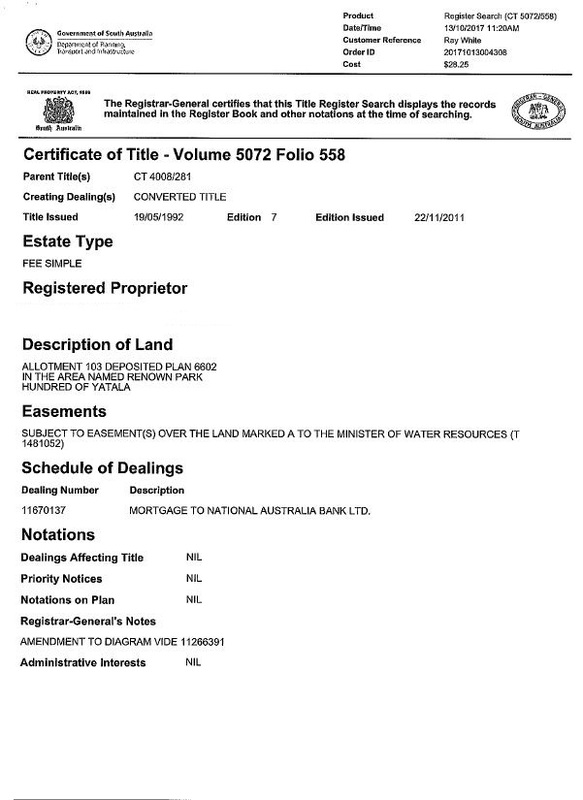 The real value of this offering is the 686m2 parcel of land. 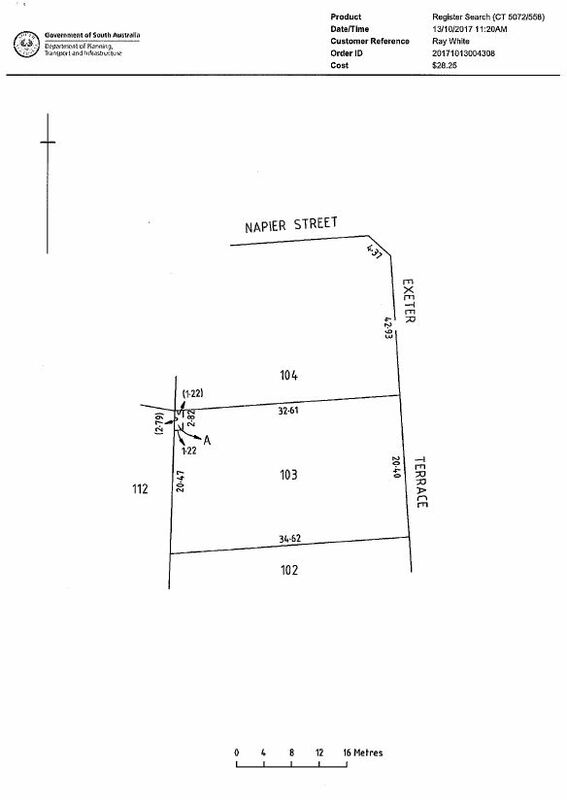 Build your dream home now on a generous lot or take advantage of this worthwhile investment opportunity and subdivide (STCC). With approx. 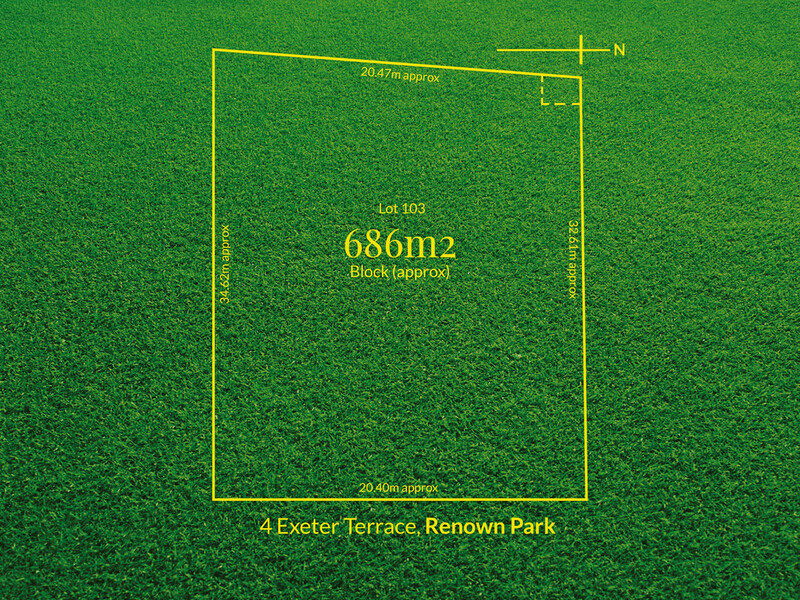 20.40m frontage to Exeter Terrace and approx. 33.62 meters deep. Allotments such as this in the area have already been sub-divided into smaller allotments (STCC), so a plethora of development opportunities present themselves here. Go ahead, do the research, you will certainly be impressed! * Approximately 4kms from the heart of Adelaide City. 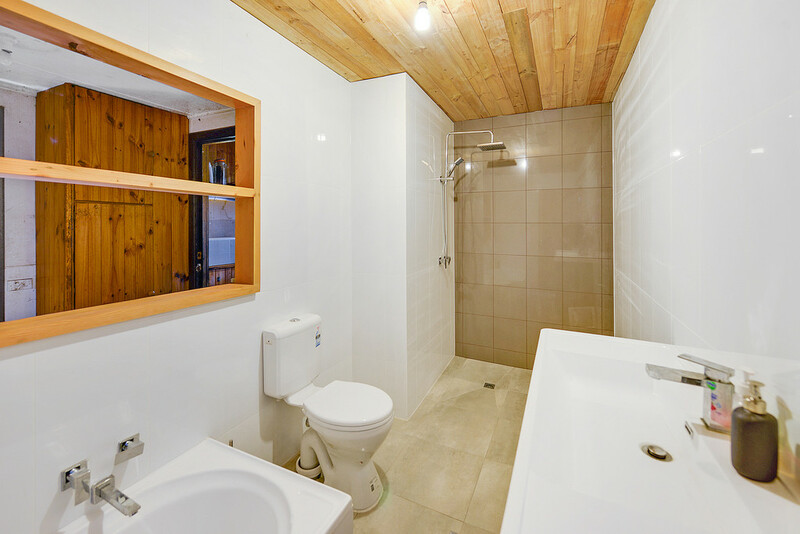 Perfectly located on 4km from the CBD and within easy reach of all amenities. The Adelaide Parklands are a short walk away, perfect for your daily exercise and relaxation. Churchill Shopping Centre is close by for your groceries or North Adelaide Village and local specialty shops are also available, as is the Adelaide CBD and Central Market or the Arndale shopping centre. Local schools include Brompton Primary, Prospect Primary, North Adelaide Primary and Nailsworth Primary with Prescott College and Blackfriars Priory School also in the local area. Do the research; Do the math; A unique opportunity to secure a valuable allotment.